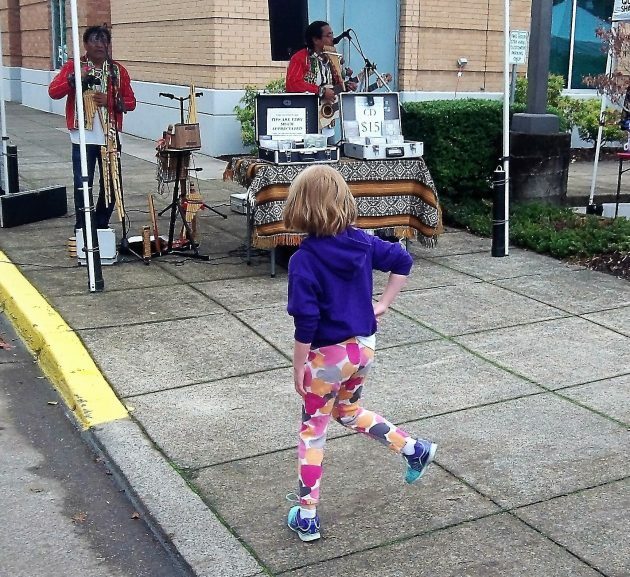 Andean melodies prompted a little girl to break into dance at the Farmers’ Market on Saturday. 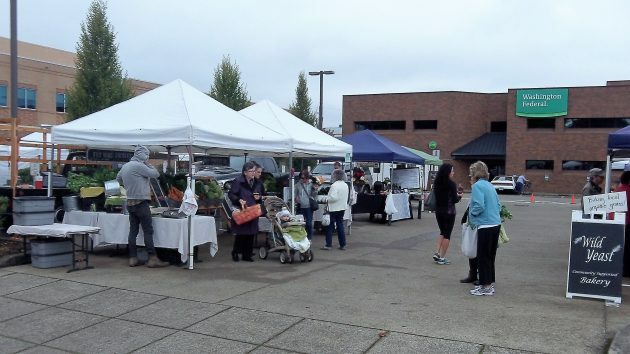 If you like outdoor music performed live by local artists, the Albany Farmers’ Market is the place you want to be on Saturday mornings. But because it’s fall, time is running out. Only a few Saturdays remain before the market makes its last appearance of 2016 on Nov. 19. Next Saturday, Oct.15, the market’s Facebook page says the program is swing, rags and blues performed by “Too Slim Tom and Miz Marsha.” And a week later, on Oct. 22, it’s Robert Richter playing American folk tunes and blues, with a “little Celtic” thrown in. From week to week, starting in the spring and continuing through the Saturday before Thanksgiving, the farmers’ market performers represent a wide variety of music, from classical chamber music to, as we heard Saturday, indigenous tunes on handcrafted instruments. The audience has reason to appreciate these people showing up and playing. After all, like the farmers and other vendors at the Saturday markets outside Albany City Hall, the musicians are taking a chance on the weather.